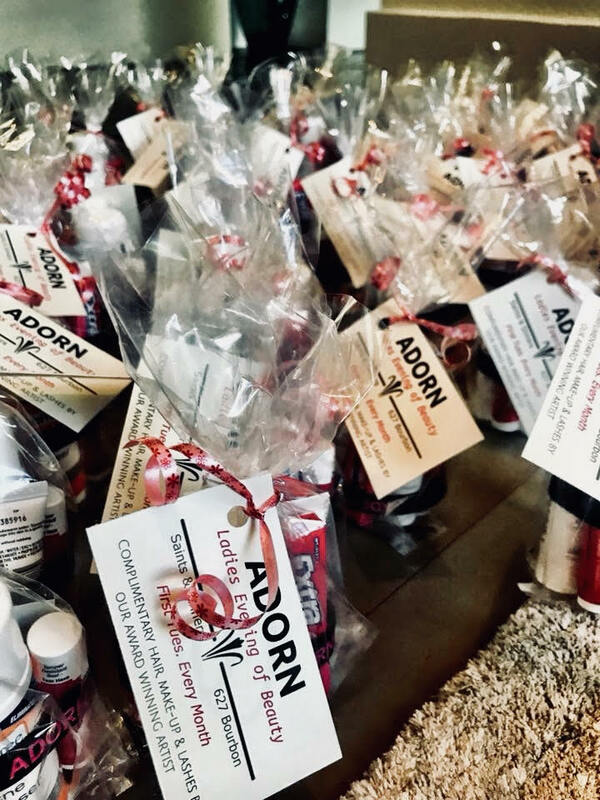 Arorn is an outreach program formed to show unconditional love and friendship with women in the entertainment industry with the purpose of these ladies discovering their value in Christ. This ministry happens on the fist Tuesday of each month. Our mighty prayer team walks the streets of the city ministering to the homeless while our beauty team provides food and services to the female entertainers in the Quarter. Complimentary hair and make-up services are provided along side meaning conversations, prayer and ministry. We help them build supportive communities and find resources for successful living. If any one would like to drop off items to be filled in these bags this can be done at our drop off site. 213 w 21st in Covington, LA.